On my father's side, I have ancestors who immigrated to the United States from Germany. I don't speak German and I don't know anything about German history other than the few things I have learned from world history classes. When my German ancestors left their native country to become citizens of the United States, they had to renounce their citizenship to their old country and swear their allegiance to their new one. By doing so they not only forfeited their own citizenship and rights to their native country, but also that of all their descendants. What if I decided I wanted to be German, but since the government there would not recognize me as a citizen, I started my own nation called "The German Nation of the United States"? What if I sold citizenship cards to other people who were also not accepted as German citizens? What if I and my fellow "Germans" started having gatherings where the public was invited to share in our versions of German culture and learn our versions of German traditions? What if we sang songs in our version of the German language? What if we told our family stories and said they were part of German history even though those stories were in direct contrast to actual German history? What if we said we were the "free Germans" who refused to be held under the iron fist of Hitler or any other German government? What if we petitioned the United Nations for recognition as our own nation? Would this be absurd? Of course it would. Would it be an insult to real German people? Of course it would. If someone did something like that, it would be viewed as terribly wrong and people everywhere would oppose it. If it is wrong to do this to a recognized nation in the world, then why is it okay to do it to a federally recognized Indian nation? Federal recognition is not something handed out willy nilly by the government. Recognition is a legal term that means the United States recognizes a government-to-government relationship with a tribe. Tribes exist politically in a “domestic dependent nation status” with the government of the United States. Federally recognized tribes have historical interactions with the United States through treaties and agreements. These tribes must also have continuous American Indian identity in a distinct community. In other words, these tribes, as a whole, must have continuously identified as American Indian and lived in a geographically defined community that was specific to that tribe. For Cherokees, this means after the forced removal, one had to be living either in Indian Territory or among the Eastern Cherokees in North Carolina. There were no other Cherokee communities in the United States that had a government to government relationship with the United States. 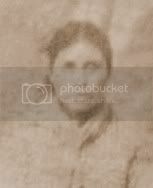 Any former citizens of the historical Cherokee Nation had renounced their citizenship and had become citizens of the United States, just like any other person who had left the nation of their birth. This means they not only forfeited their own citizenship and rights to the Cherokee Nation, but also the citizenship and rights of all their descendants. There are only three federally recognized Cherokee tribes in the United States, the Cherokee Nation of Oklahoma, the United Keetoowah Band of Cherokee Indians and the Eastern Band of Cherokee Indians. But, there are over 200 fake Cherokee tribes masquerading as authentic Indians. These fake tribes are often composed of people who have no documented connection to the historical Cherokee Nation. Despite this, these people claim to be Cherokee and start their own "tribes" since they are not accepted by any of the three authentic tribes. These "tribes" offer membership with little to no proof of any Cherokee ancestry required. They hold gatherings and pow wows where they "teach" their ideas of Cherokee history and tradition. 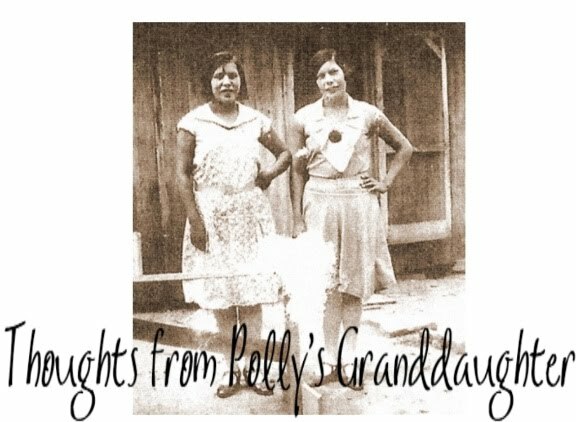 They sing in bad versions of the Cherokee language and tell their family stories as if they are actually part of Cherokee history even though there is no proof to verify what they claim. These "tribes" call themselves the free, disenfranchised or lost Cherokee. Often the people in these tribes claim their ancestors refused to "sign the roll" or refused to bow down to the government. These tribes clog up the federal recognition process with their attempts to become accepted and recognized as Cherokees. Is this absurd? Of course it is. Is this an insult to real Cherokee people? Of course it is. But, people do this all the time and few people, other than real Cherokees, see anything wrong with it. Well, there is something wrong with it. These people are making money by impersonating Indians and in my opinion, it is both morally and criminally wrong. After all, if I made money by pretending to be a well known person, I would probably be arrested for criminal impersonation. These fake tribes should be no different. The authentic Cherokee tribes are made up of descendants of those listed on either the Dawes or Baker Rolls. Those rolls include the names of citizens who stayed with their nations; helped clear and farm their nations' land; helped build their nations' businesses and schools; participated in their nations' governments; and defended their nations in times of war and unrest. Through their loyalty to their nations, those Cherokee citizens paid the price for their descendants to have the right to call themselves Cherokee. No one else has that right. In the past, everyone wanted to steal our land. Now they want to steal our identity. What is next? Our first born child? Oh, wait, that's been done already..........When will these crimes against Indians stop? These people are descendants of Cherokee, but their ancestors left the Nation when they moved outside the Nations' boundaries. They will always be descendants and have Cherokee blood in their veins, but they are not Cherokee citizens. Just as my Grandfather was from Germany, he renounced his citizenship from Germany to become an American. Creating a new "tribe" of Cherokee is not going to make them citizens of the Cherokee Nation. A very few of these people might actually be descended from Cherokees, but most are not. They simply have heard family stories and so they want to believe they are Cherokee despite the fact they have no proof or in light of the fact their ancestors are proven NOT to be Cherokee. But, you are right, even if they do descend from a former citizen of the Cherokee Nation, they are not entitled to register with any of the federally recognized tribes because their ancestors gave up their citizenship a long time ago. Cherokee is a nationality, not a race. The race is American Indian and the "country" is the Cherokee Nation. Being a Cherokee has everything to do with citizenship and nothing to do with blood. Cookie's comment was the best answer to the wannabe question that I've seen in a long, long time. Props to Cookie! However, I disagree with CC's statement: "A very few of these people might actually be descended from Cherokees, but most are not." How could anyone possibly know who is and who is not a descendant of the Cherokee people. In fact, it is not even our right to know who has Cherokee blood and who does not. The Cherokee have been and are a persecuted people. Why would anyone want to claim to be Cherokee if they are not? And those who descend from a Cherokee ancestor, former citizen or not, and who can prove their heritage should be able to become a citizen of the Cherokee Nation. People seem to forget that at one time there was only ONE Cherokee Nation. The fact that there are three shows how much we depend on a government who has a history of scourning and cheating our people. Why would anybody want to be a part of any nation who clings to the shirt tails of some corrupt government? Cookie's comment is made from the perspective everyone who joins one of these fake tribes actually descends from a former citizen of the Cherokee Nation. This is absolutely NOT true. One example is the "Central Band of Cherokees". If you read the findings by the BIA, you will see that the information given to them from this fake group actually proved they descended from non-Indians rather than Indians. I stand by my post and follow up comment.